Metabolism imbalance more pivotal risk factor than weight? Children with an imbalanced metabolism because of poor diet and lack of exercise may be at an increased risk of asthma, even those of a healthy weight and body mass index (BMI). A recent study conducted by the West Virginia University School of Medicine challenges the widespread assumption that obesity rates as a key factor for developing the chronic inflammatory lung disease. Results from the study appear in the American Thoracic Society's American Journal of Respiratory and Critical Care Medicine. Asthma causes temporary constriction of the airways (specifically the bronchi) leading to obstruction of airflow and breathing difficulty, according to Joseph V. Madia, MD. 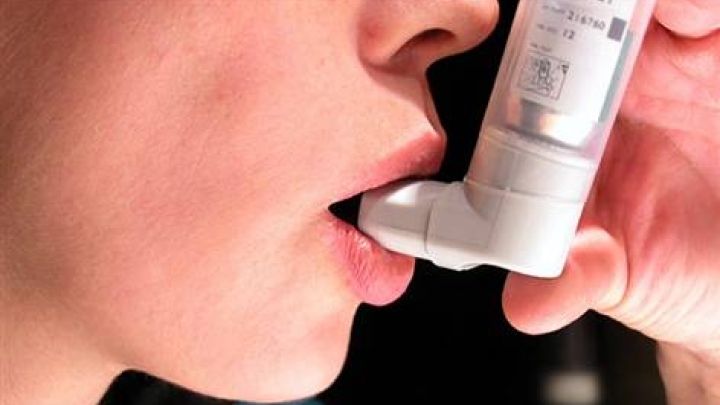 “The most common presenting symptoms are referred to as an asthma attack, which is the sudden onset of wheezing, gasping for breath and chest tightness,” Madia said. Coughing may also be present. In the study linking metabolism imbalance and asthma, researchers compiled BMI estimates, demographic data and asthma rates of almost 18,000 children in West Virginia, ages four to 12, who were participating in the Coronary Artery Risk Detection in Appalachian Communities (CARDIAC) Project. The researchers studied the children’s available metabolic data, which included indicators of early metabolic dysfunction such as high triglyceride (a type of blood fat) levels and the appearance of acanthosis nigricans (AN), a velvety, brown-to-black rash that appears frequently in diabetics or those susceptible to the disease. Of the children studied, overweight (non-obese) status did not appear to be directly linked to increased rates of asthma, although the disease appeared more frequently in obese and morbidly obese children. Asthma rates did appear to increase among children with higher triglyceride levels and in those with AN, regardless of weight. “Both imbalanced nutrition and inadequate exercise may play a role in metabolic syndrome, and our experience suggests that degree of physical activity may be as important as nutrition," said Dr Piedimonte. Researchers concluded that children whose weight is within or even below the healthy range may still be more susceptible to develop asthma because of metabolic factors signified by increasing triglyceride and/or blood sugar levels.